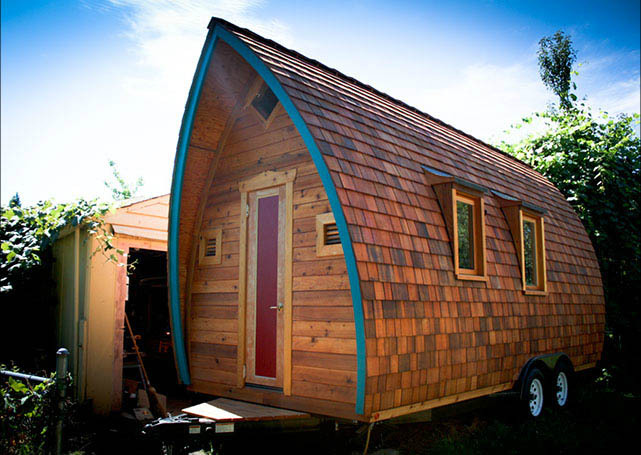 Tiny houses don’t necessarily have to be grotesque little tin shacks in the woods ya know. There are some beautiful ones out there, hand made with great care and a flair for design. This guy has made some beautiful vardos – the gypsy word for Caravan, essentially – and his Facebook page shows some of them in the throes of creation – fascinating stuff! This entry was posted in Ravings - random wafflings, Tiny House Living and tagged Building Tiny Houses, Tiny House Living, Tiny Houses, Vardo. Bookmark the permalink.